Strona główna » Mp3 » Rebecca Black - Friday (Cover by Eli Lieb) Muzyka. Wrzuć MP3; Obrazki. Wrzuć z dysku; Dodaj ze stron; Programy; Ulub mp3. Rebecca Black - Friday (Cover by Eli Lieb) View count: 151948. Rihanna - Stay ft Mikky Ekko (Cover by Eli Lieb) Available on iTunes! View count: 882829. 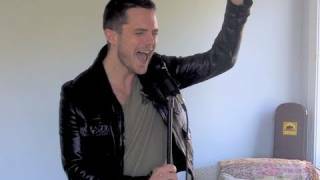 Lana Del Rey - Born To Die (Cover by Eli Lieb) Available on iTunes! Maroon 5 - Payphone (Explicit) ft. Wiz Khalifa (Cover by Eli Lieb - Acoustic) - Available on iTunes!